Straining the syrup. This is done every few minutes the entire time (six hours or so) the syrup heats and thickens. 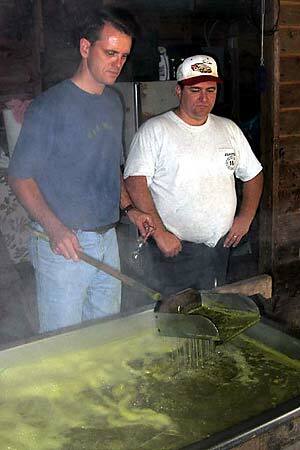 Doing so removes impurities that rise to the surface as the syrup heats.